Well, I am almost afraid to say it….maybe Spring has finally arrived here in the DC Metro area. Shhhhhh! Not too loud. I hate to be superstitious but lately it seems like the sleet, or snow is just hovering at the edges threatening to make a reappearance and coat everything in white instead of cherry blossoms. So I am going to tiptoe around the fact that I got out in the yard for the first time to start my garden cleanup and to check out if any brave little sprouts had made it above ground. The irises have poked out, so have the autumn sedum…plucky souls that they are. The maple trees are in flower and the squirrels are taking full advantage by littering the yard with all the flowers and twigs they have snipped off to get at the maple sap. Oh that maple sap….the first run is so sweet, like a cold drink of water with a hint of sugar……that if boiled down becomes that golden wonder maple syrup. At this time of year (ok earlier in March but not this year), I used to give maple sugaring demonstrations to the public. I would be boiling gallons of sap that I started to collect in January and stored until March from trees along the stream banks where the old mature red and sugar maples stood. I would let the kids watch me tap a tree and, if lucky, watch the sap start to run out the hole immediately to their awe and wonder. 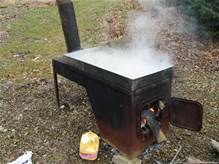 Then over to the evaporator and the wood fire that constantly burned cooking away the water and reducing the sap to syrup. It’s quite a laborous process which is one of the reasons that the price for maple syrup runs so high. I would tap red and silver maples native to Maryland, sugar maples that had been planted for their color and even boxelders that make a strong hearty syrup, each species of tree giving the syrup its own unique taste. I would even order some Alaska Birch syrup to give everyone a taste of that regionally strong and robust syrup, my that’s an acquired taste. In New England they don’t start this process until April because of their winters and this year Maryland is right along with them due to our unusually harsh and lingering winter. How I loved introducing people who have grown up on Log Cabin or Mrs. Butterworth’s to the real thing! That never gets old. I love the natural history and the cultural history to making maple syrup. 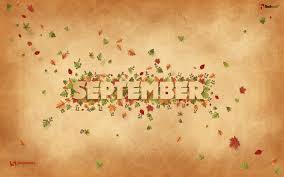 It keeps me in touch with the past, it makes me appreciate the changing of the seasons and the bounty of nature. And what it can do to a stack of blueberry pancakes is out of this world…. So yeah….Spring is here. The maple trees in flower and the squirrels gnawing the heck out of them for the sweet sap tells me so. And now I feel the need to go make some flapjacks. With butter. And real maple syrup of course! Winner Announcements! The winner of Katey Hawthorne’s Book Contest is Alishead1. Congratulations to Alishead1. Leah Karge is the winner of the When All the World Sleeps blog tour. Congratulations to Leah too! Thanks to everyone who left comments. Your participation is always appreciated. The winners have been notified. Oh, and happy 5th Anniversay to Less Than Three Press, congratulations to you too. This entry was posted in Book Reviews, Books, Contemporary fiction, Contest Winner Announcement, eBooks, LGBTQ Book Reviews, Self Published and tagged author spotlights, Blaine D. Arden, book contests, Jim Provenzano, Katey Hawthorne, Laura Harner, Lee Brazil, Maple Syrup, Neena Jayden, Pulp Friction authors, Superpowered Love series, The Calm Before, Thoughts on Spring. Katey Hawthorne is here today at ScatteredThoughtsandRogueWords and she has brought a copy of her book In Distress to giveaway to celebrate the release of her latest Superpowered Love story. Contest: To enter to win a ebook copy of In Distress, leave a comment along with an email address where you can be reached. Contest ends 4/1. So one day, I was scrolling through my tumblr dash and saw a post full of funny sandwich board signs. You know the kind, like outside bars and coffee shops with witty little drawings and sayings on them. And I thought, “Oh man, I love those; I should totally use them in a book sometime.” As you do. You know that great-looking guy you saw on the outbound train as yours was inbound? The one you can’t stop fantasizing about but haven’t seen since? Place an ad. Sometimes fate gives you another chance. As usual, my brain went to superpowers. What kind of ad would someone place in that section for someone with superpowers? Maybe they’re looking for the hot (or in this case, cold) guy who came to their rescue and then disappeared. Which translated into the first scene of In Distress, as it turns out, my little offering to the Missed Connections collection. What does it have to do with funny sandwich boards? Eddie, the hero, works in a coffee shop just below his apartment–and it’s a point of pride with him to make sure there’s something clever on the sign each and every morning. Okay, sometimes it’s less clever, more silly. Or more ‘looking for a hot red-headed superhero but trying to be subtle about it’. But he tries, the poor dear. BLURB: Hopeless romantic Eddie Kim acts out his favorite ‘rescued by the white knight’ fantasies through weekly D&D campaigns, but had almost given up hope of ever getting a real one. Then Callum, a mysterious red-head with freezing superpowers and a memorable kiss, saves him from a house but disappears without a trace. Taking pity on him, Eddie’s friends look to craiglist to relocate his hero. Unfortunately, the publicity brings down the kind of attention Callum Race been trying to avoid; he’s in town to try and clear his family name, and now the dangerous superpowered organization he needs to thwart know he’s come home again. Still, he can’t help following up with Eddie. The heat between Callum and Eddie flares instantly, and Eddie insists on helping to undo the damage his romantic notions have done. The problem: that will mean becoming embroiled in a nefarious plot, not to mention a superpowered world Eddie didn’t even know existed a week ago. The ‘bad guys’ will try to trick and use him, and in the meantime he has to convince Cal to trust him enough to be the white knight for once–and for real–instead of the perpetual damsel in distress. 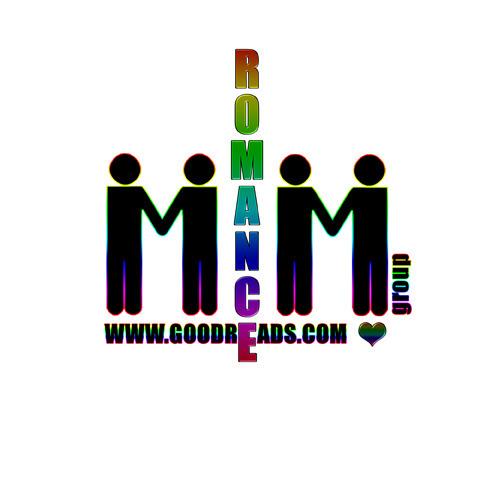 This entry was posted in Book Reviews, Books, eBooks, Loose id, M/M Fiction, M/M Paranormal Fiction, M/M Romance, Uncategorized and tagged book contest, In Distress, In Distress Book Contest, Katey Hawthorne, Katey Hawthorne Author Spotlight and Book Giveaway, Missed Connections series, Superpowered Love series. Its football season! And like the changing color of the leaves its time for a certain topic to pop up again for discussion in the Washington DC Metro area. 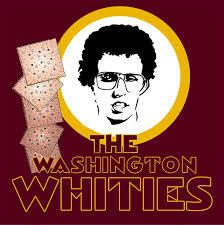 Should the Redskins change their name? For years the answer was a resounding no from all Redskin fans and non fans alike. But now the tide is changing….finally. And more and more people as well as institutions are calling on the Washington Redskin organization and Dan Snyder to change the name of the team. Sports Illustrated’s ‘MMQB’ site apparently won’t use the Redskins name any more. Nor will Slate Magazine (owned by The Washington Post Company), the online publication USA Today’s Christine Brennan, Grantland. 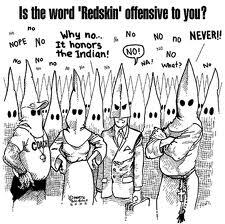 They join the Piscataway and Oneida Nations, Mike Wise of The Washington Post, MSNBC’s Rachel Maddow, 12 members of Congress and a growing number of the nation’s population who find using a racial slur as a team name not only hurtful but repulsive. Those old and racially insensitive rejoinders that hold that it’s an honor for Native Americans to be used as a title for a sports team and that “its not meant to be a slur” are not listening to the very people the name is denigrating. They are not listening to the fans who agree or the many who have written and implored Dan Snyder to do the right thing and change the name. No, it appears the all mighty buck is in charge as well as Dan Snyder. The NFL and Dan Snyder say it would cost the team (meaning both of them) millions, maybe tens of millions in revenue to change the name. Loss of copyright, loss of the proceeds in sales of Redskin memorabilia, and anything else they can imprint the name and logo on. Plus in their eyes, other teams have names that are similar and they haven’t changed them. What? Are they 5 years old? Thats normally the age that uses that sort of excuse. I know they are talking about the Atlanta Braves, the Cleveland Indians, Chicago Blackhawks, the Golden State Warriors and many, many more. And guess what, those teams need to change their names too. 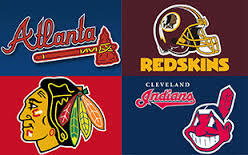 Picture for a minute all those mascots dressed as Native Americans, those cartoon logos that scream of another era, and the painted, feathered, tomahawk chopping fans that attend each game and appear on so many sports screens, sports extras shows and vids. I am even talking about our beloved elderly Chief Zee, who first attended his first Washington game in 1978 and has been a semi official mascot ever since. Now lets switch over and try to see it from the point of view of a Native American. You know, those indigenous peoples whose land we took, tribes we slaughtered, language and cultures we suppressed and who are still trying in every court in the nation to regain not only their heritage but the respect and recognition that should have always been theirs. Pretty ugly, isn’t it. Downright shameful, no matter how you look at it. Hard to believe we are still arguing about this. How do you justify the pain and hurt that is caused when a slur is treated as something acceptable? In the past, it was the N word. Now everyone knows that it is never acceptable to use or suffer the consequences (loss of sponsors, jobs, income, see Paula Dean and others). The F word is rapidly going the same way, a fact that is long overdue as is LGBTQ rights. The R word is just as offensive, although some people are still hiding in the past. Just on the fact alone that Native Americans find this term, this word, not only racially offensive but disparaging and derogatory should make it (and other similar names) disappear from sports teams everywhere. And although its origin and usage is in dispute*, the fact that most people now perceive it to be a racial slur should make its usage taboo. What is it going to take for these owners and teams to make a change? A Supreme Court decision? Considering the amount of lawsuits in play that could happen. But I would like to think it will be because the people spoke with their wallets. 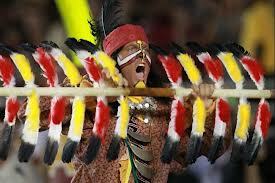 So, NFL, MLB, NHL, the Redskins and Dan Snyder, you are standing your ground and won’t switch? OK, then we won’t pay to go to your games. We won’t pay to watch your games on Pay For View. We won’t buy tickets, or team memorabilia. Those expensive team logo clothes? Nuh uh. Those beer mugs and team flags for the cars? Pass on them too. This isn’t about RGIII. I really hope his knee is fine and his career is long. It’s not about Mike Shanahan and his team. They are OK too. Even that troll (in my opinion) of an owner, no it is about him, no question. It’s about doing the right thing, no matter the cost. So that’s why I will be waiting until the name is changed to support a Washington team. It could be the Washington Lobbyists or the Washington Scribes. The Washington Lawmakers or the Washington Federals. I kind of like that last one, it has a certain ring to it, doesn’t it? Certainly the Washington Capitals and the Washington Nationals didn’t seem to have a problem finding an appropriate name. And if you want to look to a role model, look no further than to the departed and deeply missed Abe Pollin who decided he couldn’t live with owning a team named the Bullets with kids and adults dying every year by the gun. So he renamed them the Wizards and went forward without missing a step, now that’s a responsible owner. This entry was posted in 5 star Rating, Book Reviews, Books, Contemporary fiction, Dreamspinner Press, eBooks, Fantasy, LGBTQ Book Reviews, Loose id, M/M Book Reviews, M/M Contemporary Fiction, M/M Fiction, M/M Romance, Riptide Publishing, Samhain Press, scattered Thoughts Best Books of 2013, Science Fiction, Shifters, Weres, Supernatural, Torquere Books, Uncategorized and tagged Accidental Alpha, Alex Beecroft, Black Dog, Cat Grant, Christine Brennan, controversy of use of Native American names as sports teams names, Crucify, Defiance, Katey Hawthorne, L.A. Harner, Mike Wise, Poppy Dennison, Rachel Maddow, racial slur redskins, Reentry Burn, Slate magazine, Sports Illustrated’s ‘MMQB, sports teams using native american names, Superpowered Love series, The Crimson Outlaw, the Oneida Nation, The Washington Post, Triple Threat series, Washington Redskins. FBI Special Agent Gabriel Genêt is back in Hooperstown, North Carolina, a place he couldn’t wait to escape in his youth. Agent Genet has been charged with a very special mission, one he is uniquely suited for as one of the superpowered beings. Gabriel Genet is back in his hometown to collect evidence that will lead to the arrest of Andrew Wynne, a vigilante superpowered being operating in Hooperstown. Gabriel knows the real reason he was chosen for this job is the special connection he had in the past with Andrew Wynne. Ten years ago when both men were boys their parents were having an affair with each other and Gabriel’s Dad had dragged him down to the lake for a summer for an extended visit with Andrew’s mother. Gabriel and Andrew spent their time avoiding their parents, ragging on each other and ultimately hooking up as well. So when Andrew’s name comes up as a suspect in several FBI cases, Gabe is expected to use their past and any means possible to get the evidence the FBI needs to lock up Andrew for his crimes. At first, Gabriel doesn’t expect any problems. Get close, get the evidence and get out. But once back in Hooperstown, old memories start bubbling to the surface when Gabe reconnects with Andrew and their sexual attraction flares as hot as it did in the past. And the longer the case takes, the deeper the affection and attraction between the two men grows until Gabriel starts to doubt not only his ability to complete the job but his entire future as a FBI agent. Who will win and who will lose or is it just possible for two superpowered men at opposite ends to find middle ground before its too late for both of them. Losing Better is the fourth book in the Superpowered Love series and I think it is the best yet. I love Riot Boy and wondered how Katey Hawthorne was ever going to be able to supplant that book in my heart and then she writes Losing Better, one white hot tale of love and lust between two emotionally messed up and diametrically opposed men. I also think that the characters the author created for Losing Better are the most complex, difficult, and yet thoroughly human (albeit with super powers) people we have seen from her. I fiind Gabriel Genet to be a masterpiece actually. When we first meet Gabe, he comes across as a supremely confident individual, almost rigid in his black/white view of the world, one in which he is always the winner. Sarcastic, superior and goal oriented, that’s Gabe. And as it is told from Gabe’s pov, even in his thoughts on everything from the town to Andrew, he telegraphs to the reader as something of a consummate jerk. I kept trying to find something to like about Gabe at the beginning and failing miserably. It didn’t help that Gabe’s quarry is Andrew Wynne, a gorgeous “sheep dog” of a young man, with his puppy eyes and ferocious need to please and be loved. In Andrew Wynne Hawthorne has given us such an endearing, accessible person that we emotionally leap to his defense from the start. Even as the reader listens to Gabe plotting against Andrew, we are outraged on Andrew’s behalf and Gabriel’s cruelty towards Andrew almost derails any attempt at affinity we start to muster. Opposite forces are at work at all facets of this story and nothing is as it seems on the surface. But when the cracks in Gabe’s emotional veneer start to appear, then our view of him starts to morph as well. And soon it is hard to remember our antipathy towards the hard, focused man we first meet because everything has changed. I love the structure and narrative of this story. We dislike the protagonist who is telling the story and root for the appealing, vulnerable man of his past who only has the best interests of the town at heart, or so it appears. Katey Hawthorne gives us two men whose past and family interactions have served to mold them into two diametrically opposed forces each confident that their path is the only correct path. Even their super powers are uniquely qualified to short each other out. Gabe controls electricity so of course it flows that Andrew’s gift is that of water and the currents between the two are supercharged on every level. And then the true complexities starts to reveal themselves as the story and Gabe’s investigation progresses. Each man carries within him the same pain filled dysfunction that stems from the same family dynamics but the truth behind what that past has done to them as they grew into men escapes in spurts throughout the narrative until it explodes into view at the end. The author gives us a surface that she slowly distorts and cracks until the real story she wants to tell is exposed before us as are the real Gabe and Andrew. Of course, Hawthorne throws in some wonderful side characters, including that of Kieran, a friend whose sexual good nature includes a whopping helping of both men whenever he is in town. Trust me, even if a menage is not your thing, it is hard to not love Kiernan. He really is a friend to both men and while he may play with them sexually, it really doesn’t factor into their relationship except at the beginning when Gabe uses him as an emotional buffer between himself and Andrew. It’s realistic, understandable, and very hot! Luckily, Kieran is getting his own story so we will be seeing him again. But the heart of this story is the relationship between Gabriel and Andrew and how families and our past can define what we become as adults. The end is electric, rewarding, complex, and of course, perfect. Just like the men themselves. And Losing Better gets better with the second reading as the some of the subtleties the author puts into play becomes more transparent the second time around. I cannot recommend this book or series enough. You don’t have to read them in the order they were written as they can act as stand alone novels but I enjoy the compiled history I get reading them as a series. Cover Artist: P. L. Nunn. Another wonderful cover by P.L. Nunn for the series. Available at Loose id, Amazon, and All Romance. This entry was posted in Book Reviews, Books, eBooks, Loose id, M/M Fiction, Science Fiction, Uncategorized and tagged Katey Hawthorne, Loose id Press, m/m action fiction, m/m elemental characters, m/m fiction, m/m romance, m/m science fiction, m/m super powers, menage, Superpowered Love series. Maryland seems to have dodged another major “storm of the century” that is still leaving its impact on New England and the NE corridor from Philly to Maine is coated with the white stuff. While those unfortunate fellows are digging out from under several feet of snow, we had to deal with wind and rain and little else. Unless you count the flu. Yes, that’s right, the flu. Or maybe you have the norovirus, that’s going around too. Either way, like myself, you are probably feeling less than stellar. I did gather all the right stuff around me as the symptoms hit. Hot tea? Check. Loads of tissue? Check. Blankets to huddle under? Check. Every over the counter cold drug you could buy? Check. Reading material and knitting projects? Check. So what is missing? My ability to focus and stay awake. I have no energy. Sigh. So while I have a schedule for this week, it might be touch and go to stay by it. Let’s see what happens in between doctors appointments, shall we? Saturday, Feb. 16: Reader Questions. If you could talk to an author, what would you ask them? Meanwhile here is a vid making the rounds that cheered me up. Love the reaction of the older sister. These kids rock. This entry was posted in Book Reviews, Books, Contemporary fiction, eBooks, Fantasy, Historical, Loose id, M/M Fiction, Riptide Publishing, Samhain Press, Science Fiction, Shifters, Weres, Supernatural, Uncategorized, Vampires and tagged Brynn Paulin, Cambridge Fellows series, charlie cochrane, GLBTQ fiction, Katey Hawthorne, Kendall McKenna, m/m alternative world, m/m contemporary fiction, m/m fantasy ficiton, m/m fiction, m/m historical romance, m/m paranormal fiction, m/m romance, Mark Reed, Superpowered Love series. Favorite Series Covers and Cover Artists! Book covers have always fascinated me. Some repel me, others draw me in immediately. Think “ooh, shiny, pretty…” lol. Others intrigue me by their content or graphic design, while others leave me “meh” or confused. When I think of series covers that are successful, all they have some of the same elements incorporated into their design. The first being I can tell the books belong together at a glance, they have a cohesive design element consistent in every cover. The fonts stay the same. Each cover contains the same overall design with small changes that don’t affect the overall picture they present to the reader. So we are looking for consistency, cohesiveness, clarity and recognition. Designs that convey a sense of connectedness between the books. Look over my choices and see if you agree with me. Many of my favorites series also have some of my favorite series covers. Yes, I have let quite a lot out but I need something for the next cover post, don’t I? Lets get started. 1. Cut & Run series by Abigail Roux and Madeleine Urban, now being written by Abigail Roux,cover design by Mara McKinnon:Simple and elegant. 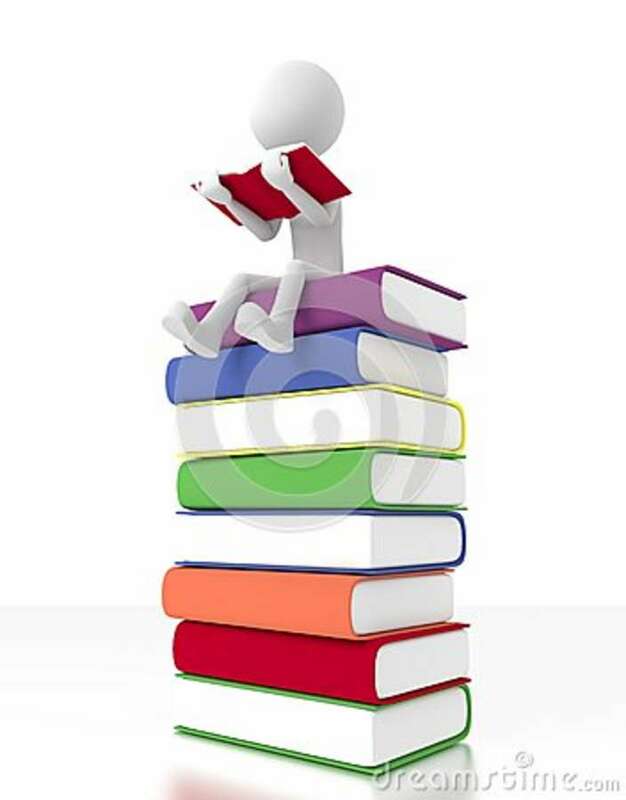 The central object, which is prominent in each storyline, is changed out with each book. I can tell a Cut &Run book in a heartbeat. 2. Lost Gods series by Megan Derr, design by London Burden. Each cover is a map of the kingdom the story is set in. 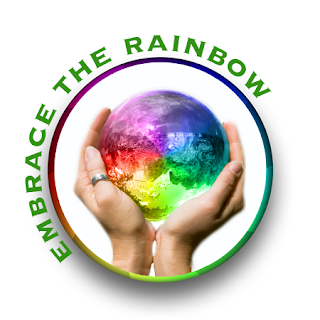 The color is important as it is a prime element for each kingdom and its culture. Blue for the kingdom of Kundou, a land to whom the sea is all important. It’s people have hair in all shades of blue and green, the color of water. The orange/red cover of Burning Bright is self explanatory and so on. Subtle, expressive, simple on the surface yet contains hidden meanings just like the books. 3. 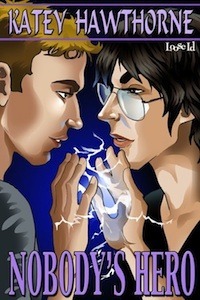 Sanctuary Series by RJ Scott, artist/cover design by Reese Dante. Each cover depicts the two men who will be the novel’s romantic couple, usually one is a Sanctuary op. The design stays the same with the men being switched out. The models are consistent with the descriptions of the men inside. Reese Dante does the fantastic design. 4. Dance With The Devil series by Megan Derr, design by London Burden. Effective use of a simple graphic design where the object floating in the center of a black cover is switched out for each new book. Again the main element is important to the storyline. Effective, elegant, and easy to recognize that the books belong together without having to resort to the publishers note. 4. Cambridge Fellows series by Charlie Cochrane, cover design by Scott Carpenter: All the covers have a lovely vintage feel to them, sepia toned with elements such as furniture, buildings and mens clothing from 1900’s included on the design. Unfortunately, the last cover from Samheim had a more modern looking model which threw off the design. The newest title in the series has a completely different look as it was published at the different company. Can you pick it out? 3. Superpowered Love by Katey Hawthorne, artist P.L. Nunn: Just wonderful art by PL Nunn, the covers really set the stage for the stories within. I just love these. Again while the content changes, the style is the same and makes the books easy to identify. 4. Infected series by Andrea Speed, art by Anne Cain, cover design by Mara McKinnon: These covers blow me away. Intense, dramatic, with that hint of menace. Outstanding. They are offered to download at Andrea Speed’s website. I grabbed them, you will want to as well. Andrea Speed’s website http://www.andreaspeed.com. 5. Cattle Valley Series by Carol Lynne, art by Anne Cain. It doesn’t matter if it is Book 2, Book 12 or Book 23, you can tell it is a Cattle Valley book immediately due to the great design and artwork by the wonderful Anne Cain. This series is branded, folks! Total E Bound does more of a series branding than any other publisher or so it seems to me. 6. Sci-Regency Series by JL Langley, cover by Anne Cain. Sigh! I love Anne Cain and her artwork. Especially her cover for My Fair Captain. That one is so drool worthy that I have to bring out the towels. Yeah, I know TMI! But just look at that chest! And the same goes for the other two books in the series, the last of which, My Regelence Rake, is to be released in October 2012. 7. Leopard’s Spots series by Bailey Bradford, artwork by Posh Gosh. What a lush, rich group of covers, They are like a feast for the eyes, I just don’t know where to look next. The design pulls your eye around the cover, so nothing is missed. Just superb. So that’s my short list. What is yours? Yes, I see the same artists over and over on covers I like. Anne Cain, PL Nunn, Reese Dante, Posh Gosh and London Burden. Lately I have also noticed Alessia Brio too. I know I have missed so many great artists, help me fill in the blanks. And don’t forget to leave a comment and be entered in the contest. This entry was posted in Book Reviews, Books, Contemporary fiction, eBooks, Fantasy, Historical, Less Than Three Press, Loose id, M/M Fiction, Riptide Publishing, Samhain Press, Science Fiction, Shifters, Weres, Supernatural, Uncategorized, Vampires and tagged Abigail Roux, Andrea Speed, Anne Cain, Bailey Bradord, book cover artists, Book covers, Cambrige Fellows, Cattle Valley series, charlie cochrane, Cut & Run series, Dance with the Devil series, eBook covers, Infected series, JL Langley, Katey Hawthorne, Leopard's Spots series, London Burden, Lost Gods series, Megan Derr, PL Nunn, Posh Gosh, Reese Dante, Sci-Regnecy series, series covers, Superpowered Love series.